A sculptural artwork that provides a unique perspective on the skies at Kielder Water & Forest Park has undergone a transformation to provide an even more mesmerising visitor experience. Cat Cairn: the Kielder Skyspace, created by internationally renowned American artist James Turrell, was originally opened in 2000. Although in daylight hours, the Skyspace is illuminated only by natural light through the roof opening, at sunset, a hidden ring of lights illuminate the upper part of the chamber, affecting and altering the way a visitor experiences colour and space as the night approaches. This year Kielder Water & Forest Park Development Trust has commissioned a major refurbishment of Skyspace, which includes a completely new lighting programme designed by Turrell, who worked closely with lighting artist Eleanor Bell to realise the project. This new lighting extends the scope of the original work by carefully modulating the intensity of light in the space over a period of about an hour, providing visitors with a fascinating an ever-changing experience of the sky above as each day makes its transition from dusk to dark. 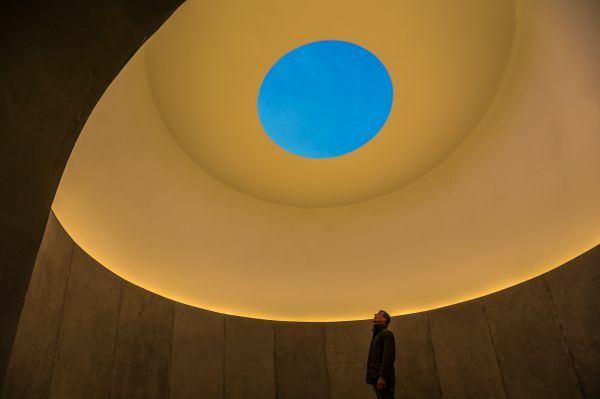 Eleanor Bell said: "It was a privilege to do the electrical design and installation of the new lighting system in James Turrell's Kielder Skyspace. Working with Turrell has really enabled me to develop my own practice, helping me to better understand the importance of light and how to use it as a material in its own right. "The wild beauty of Kielder is the perfect backdrop for his work and this new lighting programme, which transforms the space with its slowly changing levels of natural and artificial light, is a mesmerising performance that I never tire of watching." As part of her involvement in the project Eleanor hosted interactive talks with Kielder First School children, students from Newcastle University's Fine Art Department and School of Architecture and students from Queen Elisabeth High School. The enhancement of Skyspace and the associated engagement activities have been made possible through support from Arts Council England, the Henry Moore Foundation, Northumberland County Council, and Forestry Commission England. Visitors can also enjoy a brand new sculptural work, Shapling, which functions as both an orientation point and a bin store screen at Kielder Waterside. Designed by Simon Watkinson and funded by Arts Council England, it is fabricated from self-weathering steel - the same material used to make The Angel of the North. During the day, the sculpture has a hard rugged feel, which utilises a hidden lighting system to transform into a mosaic of colour-changing squares every evening. "Shapling's industrial look and materials make reference to the people who first planted the forest, many of who came from the mining communities and shipyards of North East England. Its name evokes ideas of metamorphosis and change; the re-direction of manual skills that enabled Kielder's constantly evolving living landscape to be created." Skyspace was delivered through Kielder Water & Forest Park Development Trust with the assistance of Babtie Group, Sodablast UK, Pure energy Renewables, and sponsored by G&B Civil Engineering. 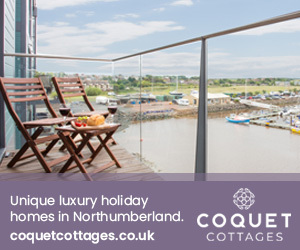 It was funded with support from the European Regional Development Fund, One North East, Arts Council England, the Henry Moore Foundation, Northumberland County Council and Forestry Commission England.